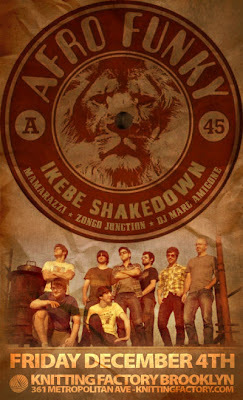 Our boy Marc is flying in from Buffalo to DJ this sweet Afrobeat show at the Knitting Factory, Brooklyn. Go here for more info. Then come out and get FUNKY.